Have you Uk Business debt that needs collecting before Brexit? If you’re owed money by a UK business or individual you should be taking steps to recover it now as uncertainty over what will happen on Brexit day on 29 March 2019, when the UK leaves the EU, could mean it gets a lot slower, harder and more expensive to get your money back after that date. 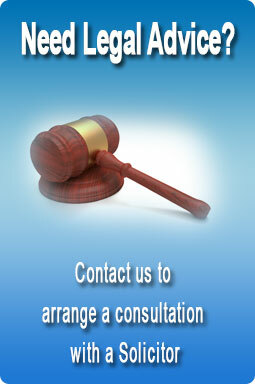 At the moment, it’s relatively easy to enforce a money judgment you obtained in the Irish courts against a UK debtor. Because Ireland and the UK are both in the EU, the courts in the UK will recognise and enforce an Irish court judgment for you pretty much as if it had been made in the UK courts. So, for example, if you’ve an Irish court judgment saying someone in the UK who owns property in, say, Liverpool, owes you €10,000 you can apply to the English courts to enforce that judgment – for example, by obtaining and registering a charge over the Liverpool property to secure the money you are owed – as if it was an English judgment. But when the UK leaves the EU, it will all get a lot more complicated. If no deal is agreed before Brexit then the same law will apply when you try to enforce a judgment in the UK as currently applies if you want to enforce an Irish judgment in a non-EU country. The bad news is that this law can be complex. Enforcing an Irish court judgment in the UK to recover your debt will inevitably be less predictable, take longer and cost more if you have to rely on these laws. If, however, the UK signs up to a treaty called the Lugano Convention after Brexit, things should be a bit better. Signatories to the Convention all agree to operate the same rules on recognising and enforcing foreign judgments as each other. Ireland is already a signatory through its EU membership. On Brexit, the UK will cease to be a signatory through its EU membership, but could decide to sign up in its own right. Enforcing your debt after Brexit using the Convention will be easier than if there’s no deal, but still nowhere near as easy as under the EU rules. For instance, in the Liverpool example above, you would have to bring a fresh legal action in the English courts, and get an English judgment, before you could enforce your debt against the Liverpool property. So if you’re owed money by a UK business or individual, consider taking urgent steps to get and enforce your Irish judgment in the UK before 29 March 2019, while the simpler, quicker, cheaper EU regime still applies in both countries.